Wimbledon Grand Slam is one of the four most prestigious tennis tournaments of the year. It’s also one of the biggest and most historic sporting events in the UK. It’s been organized every year since 1877. 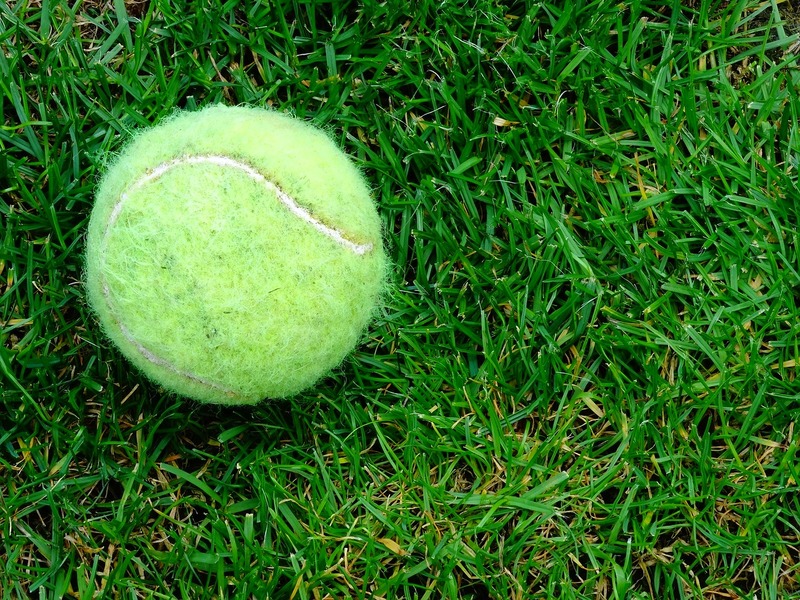 Wimbledon tennis matches are happening on a grass surface which makes it one of the fastest and most exciting games of the year. These are only a few facts why so many people around the world would like to watch Wimbledon live streaming championship live. However, not every country has a free broadcasting channel, or cable subscription is too expensive. Therefore in this article, I’m sharing the best ways to watch Wimbledon live stream in different countries. Here I will also share a few options how to stream Wimbledon live online for free. Wimbledon Grand Slam Tournament 2017, one of the four Grand Slams of the year is on its way. This year’s tournament first round games are starting on 3rd of July. Last year, both Andy Murray and Serena Williams went home with £2million cash prize after winning their titles. This year, the prize has been increased to even higher amount and allow winners of the championship to leave with a £2.2million cash prize. As the prize increase, the competition is getting stiffer which means that it’s going to be even more entertaining for tennis fans. Don’t miss a match by finding out the best ways for Wimbledon live stream online from anywhere in the world. How to watch Wimbledon live stream online? In different countries, there are different options to watch Wimbledon Grand Slam online. Some countries require a cable subscription, some countries require a one-time subscription, and some countries offer a free stream of Wimbledon tennis matches. Below I will share detailed information on how you can watch Wimbledon live stream in the UK, Ireland, USA, Canada, Australia and other countries. Furthermore, I will give you some tips on how you can watch Wimbledon free online from anywhere in the world. Australia – Seven’s network (free) & FoxSports (paid subscription). How to watch Wimbledon in the UK? In the UK, Wimbledon Grand Slam tournament broadcasting rights are held by BBC. They will be showing Wimbledon live streaming matches in the United Kingdom on BBC One and BBC Two. Also, BBC Radio 5 will have over 100 hours of action and BBC Sport website will host many live HD video streams from the historic Grand Slam. Furthermore, for the first time, Wimbledon qualifying matches will be broadcasted on the BBC. In the United Kingdom, BBC One and BBC Two is available on BBC iPlayer. This means that you can watch Wimbledon for free in the UK. Unfortunately, BBC iPlayer is only available in the UK. Below I explain why it is unavailable outside of the United Kingdom and how to gain the access from abroad. Why can’t I watch Wimbledon on BBC iPlayer abroad? You can’t watch BBC iPlayer abroad because BBC iPlayer is a service for people residing in the United Kingdom. Therefore, BBC iPlayer has restricted its service outside of the UK. Fortunately, there’s a service called VPN. It allows changing your IP address that stops you from watching Wimbledon on BBC iPlayer outside of the UK. 5. Head to the BBC iPlayer website and start streaming Wimbledon tennis live. Where to stream Wimbledon tennis in Ireland? In Ireland, you can watch Wimbledon live stream on Eir Sport (previously known as Setanta). Setanta in 2015 acquired broadcasting rights from TG4 for three years. Eir Sport is available online. However, it requires paid subscription. If you wish to gain access to Air Sport then there are two options: if you are a Sky TV owner and have Eir broadband, then you can sign up for Eir Sport channels completely for free. But if you only have Sky TV then you can sign up for monthly or annual event packages. Just like many other online streaming services, also Eir Sport is only available in Ireland. Therefore, to watch Wimbledon on Eir Sport outside of Ireland, you need a VPN service. How to watch Wimbledon live in Australia? In Australia, there are two options how to stream Wimbledon live online. You can either watch it on FoxSports if you have a subscription or you can access it on Seven’s broadcast. Seven’s broadcast will stream live matches on Channel 7, 7TWO, 7mate and PLUS7 Live. The best part is that you can watch Wimbledon for free on Seven’s network in Australia. Unfortunately, neither Seven network nor FoxSports is available outside of Australia. Therefore, if you are traveling and wish to access any of these networks, you may find VPN service very handy. With a VPN service, you can change your IP address to Australia and access any websites and apps that would be unavailable outside of Australia. Where to watch Wimbledon in New Zealand? In New Zealand, TVNZ 1 and DUKE holds the broadcasting rights for the biggest tennis tournament in the world. Both channels will have live coverage and daily highlights from Wimbledon. TVNZ is an OnDemand service which is available on gaming consoles like Xbox One, Playstation 3 and 4, it is also available for stream on Desktop and Laptop, on iOS and Android devices. Furthermore, you can watch TVNZ on smart TVs like Samsung TV. Plus it’s available on FreeviewPlus, Windows Surface Tablet, and Chromecast. Unfortunately, TVNZ service is only accessible in the New Zealand. Therefore, to unblock and watch Wimbledon in TVNZ from abroad, you should get a VPN service with servers in NZ. How to watch Wimbledon in Switzerland? In Switzerland, the best way to watch Wimbledon live stream is on SRF Sport. You can access SRF Sport for free on its website. Where to watch Wimbledon in Canada? 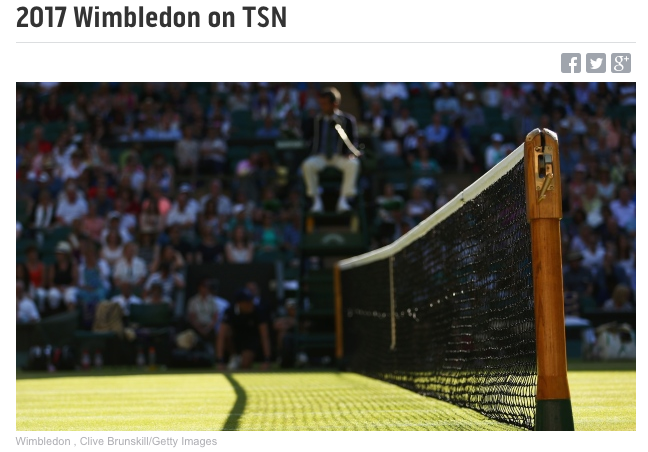 In Canada, there are two ways for Wimbledon live stream; TSN and RDS. TSN is an English speaking Canadian sports TV channel. RDS is a French-speaking sports TV channel. TSN will live stream Wimbledon tennis tournament on TSN 1, TSN 2, TSN 3, TSN 4, TSN 5, TSN Network and TSN GO, see the schedule here. Canadian TSN sports channel is only available for people with existing cable TV subscriptions. If you have a Canadian cable tv that provides TSN, then visit its website and sign in with your credentials to watch Wimbledon live stream online. Furthermore, TSN is only available for people residing in Canada. You won’t be able to access TSN from abroad unless you change your IP address to the Canadian one. If you wish to gain TSN and watch Wimbledon live from overseas, you can get a VPN service with Canadian VPN servers. Connect to a server in Canada, and you can visit TSN to stream Wimbledon live from outside of Canada. How to watch Wimbledon in the USA? In the United States, you can watch Wimbledon live stream online on Tennis Channel and ESPN. Almost all of the USA cable tv providers offer Tennis Channel as part of their subscription package. You can also subscribe to the Tennis Channel directly on its website. Tennis Channel will broadcast games from 9 different courts. Tennis Channel Plus annual subscription is $89.99. It provides live streaming of many tournaments throughout the year. You can watch Grand Slams and also smaller tennis tournaments. Furthermore, Tennis Channel is compatible with devices like computer, mobile, Apple TV and Roku. You can also get Tennis Channel without a cable tv subscription. Live TV streaming service DIRECTV NOW offers Tennis Channel part of its package. It also provides many other global TV channels. DIRECTV NOW doesn’t require long-term contracts and its service can be canceled anytime. Furthermore, you can take advantage of its 7-day free trial, which allows live stream of some of the Wimbledon matches for free. Our second best Wimbledon live stream service is ESPN. On ESPN USA you can watch all four Grand Slams of the year. ESPN has been holding exclusive rights to broadcast US Open since. Since 2014 it has been broadcasting Australian Open, from 2002 French Open, and from 2003 Wimbledon. Therefore, in the United States, ESPN has become the first and only network that hold rights to broadcast all four Grand Slam tennis tournaments. ESPN requires a paid subscription, and it is available through affiliated TV and internet providers. Also, services like Sling TV, DIRECTV NOW, and PlayStation Vue offer ESPN as part of their subscription packages. None of these streaming services are available outside of the USA. However, you can access these services with a VPN service that has servers in the USA. How to stream Wimbledon live online in India? In the Indian subcontinent, which includes India, Bangladesh, Bhutan, Maldives, Nepal, Pakistan and Sri Lanka, the best option to watch Wimbledon streaming live is on Star Sports (Hotstar). Star Sports is available on the Hotstar. Hotstar which is a free service that offers live sports, television series, movies, and other entertainment. You can access Hotstar on your computer, smartphones, and tablets. Furthermore, Hotstar is a free service. Therefore, you can watch Wimbledon in India, Pakistan, and Bangladesh for free. In other countries, Hotstar is unavailable. Therefore, if you are traveling abroad, you won’t be able to access Hotstar service. You can unblock Hotstar and stream Wimbledon tennis for free from outside of India. Use a VPN service with servers in India, Pakistan or Bangladesh. Download and install VPN software. Then connect to one of the servers in a location where Hotstar is available. Open Hotstar and start watching Wimbledon live stream for free online from anywhere in the world. It is convenient to have a VPN service if you are frequently traveling or don’t have access to a local TV channel that stream Wimbledon live online. VPN service is a great tool. It allows you to change your IP address to another location of your choice. Therefore, VPN lets you unblock sites and services that otherwise would be unavailable. Sign up to a VPN. Make sure it offers server in a location where streaming service that you intend to connect to is available. If it is Seven Network, then you can choose a service from the list of Best VPN Services for the Australia. Download and install the VPN software on the device you intend using to watch Wimbledon live stream. 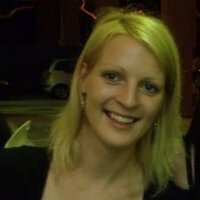 Search and connect to a VPN server. For Seven Network, connect to a server in the Australia. Go to the Wimbledon streaming site. You can access Seven Network on its website. Go to the live streaming and watch Wimbledon live online. Seven Network is just an example. You can watch Wimbledon live streaming also from other countries where it is available. Just get a VPN with servers in a country where the Wimbledon streaming service is working. You can stream Wimbledon live online for free on BBC iPlayer. It requires UK IP address that you can get with a VPN service if you are outside if the United Kingdom. Another option to watch Wimbledon for free online is on Seven Network which is Australian TV service. To watch Seven Network, you need to get a VPN service with Australian servers. The list is based on some of the past events. There are quite some ways how you can stream Wimbledon live online. In the USA, the best way to watch Wimbledon on ESPN, and Tennis Channel. Canada live streaming of Wimbledon is available on TSN. In the UK access BBC iPlayer to watch the Grand Slam. In the rest of the European countries, the best option for Wimbledon streaming is Eurosport. You can also watch Wimbledon for free in various countries. VPN lets you unblock streaming sites from another part of the world. Share your preferred way of watching a live stream of Wimbledon tennis on the internet.